Tamarix chinensis (Chinese tamarisk) is a shrub or a tree (family Tamaricaceae) and can be found along streams and lake shores, throughout California. Tamarix chinensis is associated with dramatic changes in geomorphology, groundwater availability, soil chemistry, fire frequency, plant community composition, and native wildlife diversity. 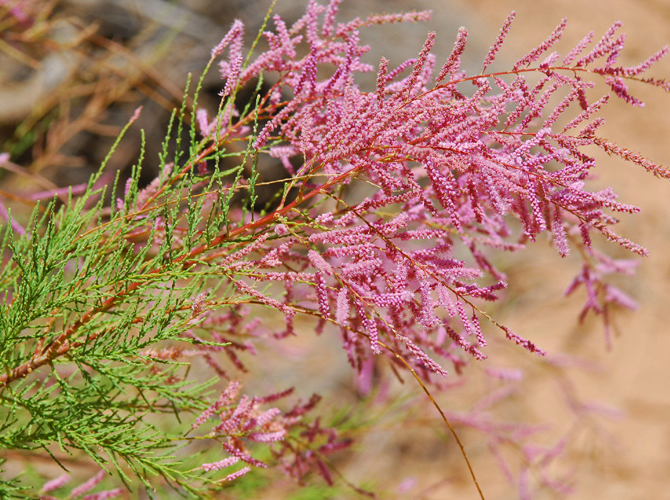 It may also hybridize with Tamarix gallica or Tamarix ramosissima.